Our last day in Poland. Mark and I headed out for some shopping while Mom decided to stay at the hotel and rest her weary feet. We walked quite a bit, stopping for drinks at a cafe in the main square. 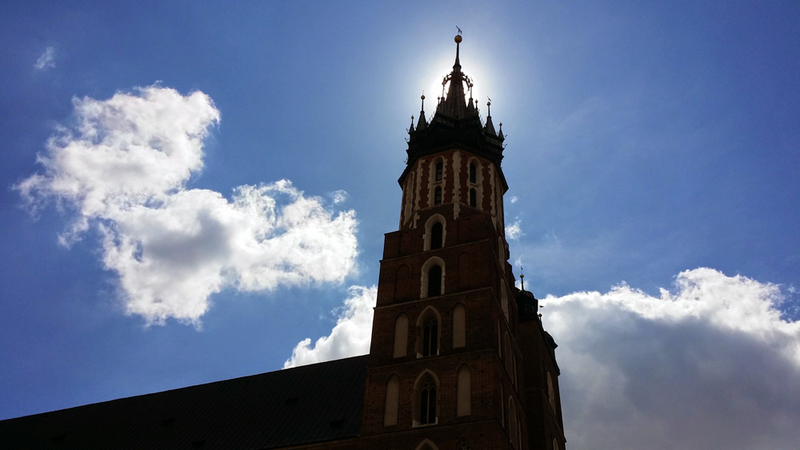 We were fortunate to hear the Kraków trumpeter at noon, even though we didn’t plan it. I found the Bolesławiec pottery I wanted and bought some cups for use at home – they will remind me of this wonderful trip every time I use them. We arrived back in Kraków this afternoon and Zenon left us at our hotel. It was hard saying goodbye to Zenon – he had become part of our family during this adventure and it feels strange without him now. 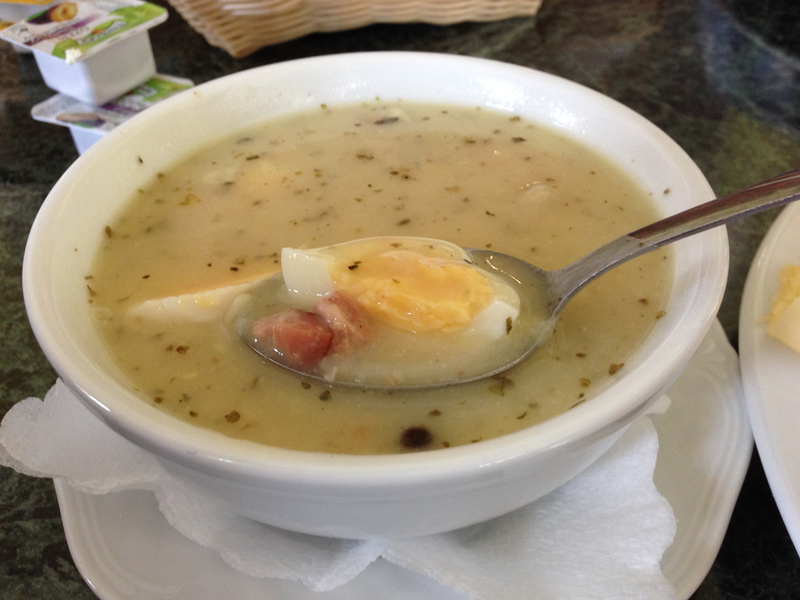 After some more żurek for breakfast (!) we headed back to the records office in Bolesław. Armed only with old family names from the late 1800’s, we headed to the town archives to try our luck locating relatives still living in the area. Luckily the clerk was cooperative and bent some rules by showing us more recent birth, death & marriage records. I was up early and did some more walking before breakfast. 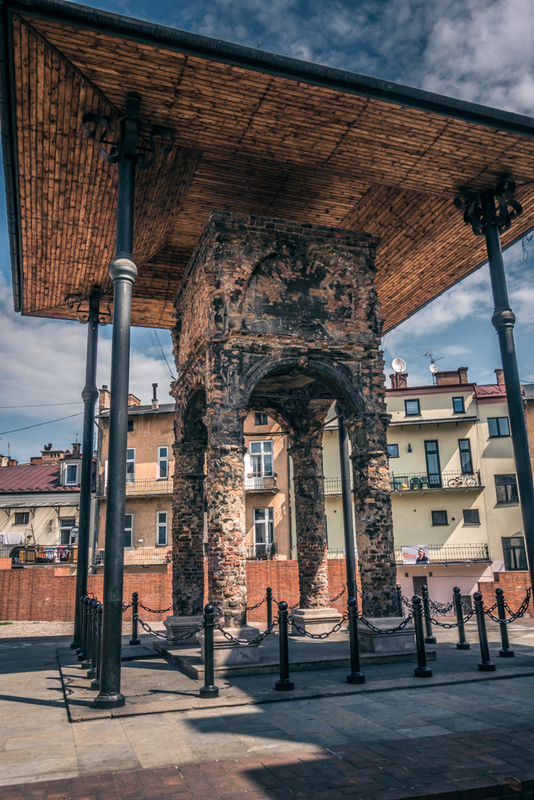 Explored the Jewish ghetto area of Tarnów including the ruins of the synagogue. 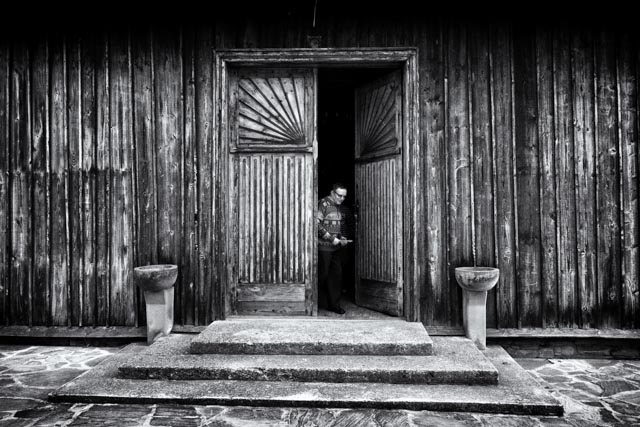 Before the war nearly 50% of Tarnów’s population was Jewish and like others across Poland they suffered a horrible fate. Once again, reading the history of these events and contemplating what happened brings me a greater appreciation for the life we have today. As I have every day so far, I woke up early. It’s been difficult adjusting to the 9 hour time difference but there’s enough excitement and activity each day so I don’t feel tired. I decided to take a walk before breakfast and explore Tarnów some more. 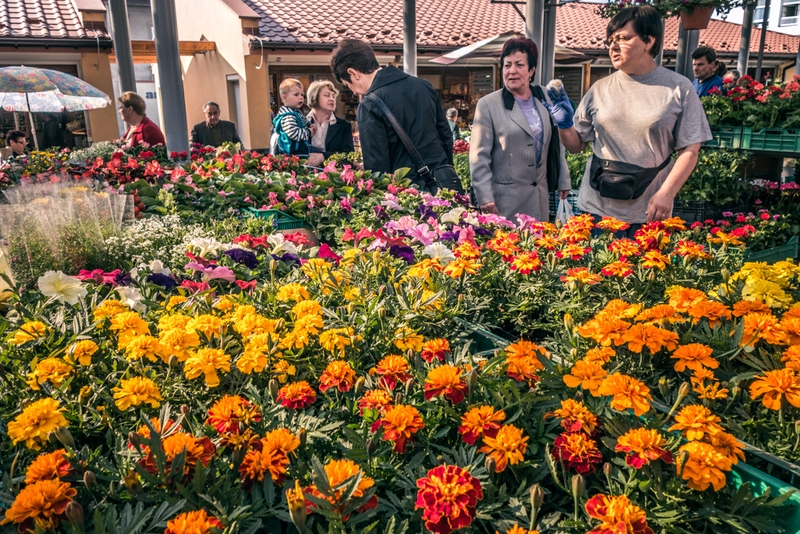 I found a great farmer’s market just a few blocks from the hotel and stopped there to photograph some of the stalls. I used my 3 words of Polish (and a lot of pointing) to buy some apples to enjoy back in the room. The hospitality of Bernarda and Edward Twarog continued to amaze us. 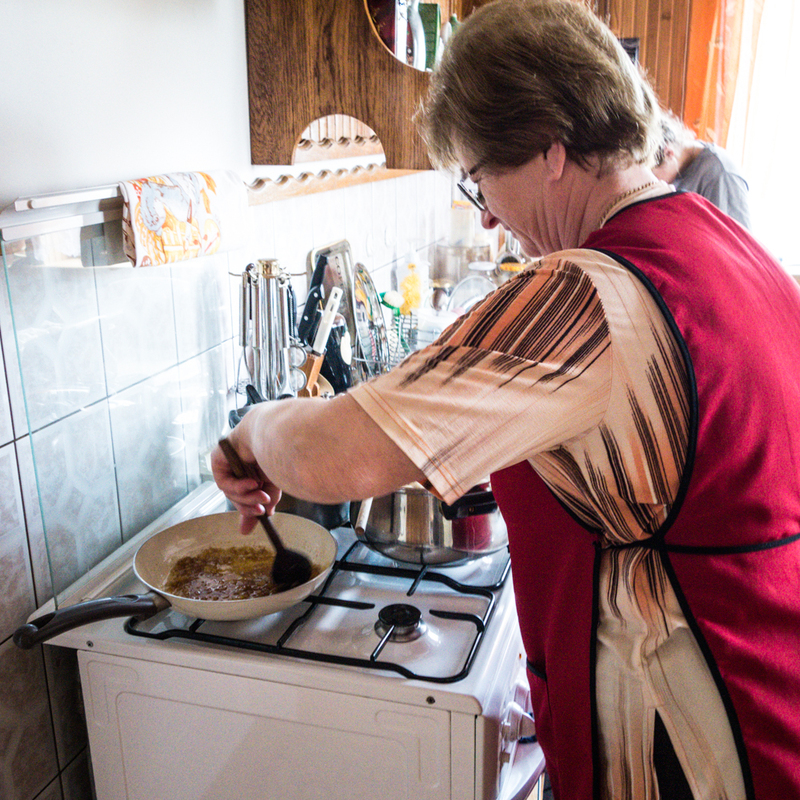 When we arrived at their home late this morning, wonderful aromas drifted from the kitchen and we learned we were in for a real treat: Bernarda was serving home made pierogis Ruskie (cheese and potato). Very appropriate too, since the polish word for this type of cheese is Twaróg! They did not disappoint – hands down the best pierogis I have ever had and my mother agreed. As a small thank you for their kindness, we had brought a bottle of wine and also Krupnik citrus vodka. Of course as soon as I told Edward the vodka was a gift for him, he fetched some glasses and the bottle was opened. It was delicious and a very nice way to end our visit with this wonderful family. 3 Men and a Mum. Finding our Polish Family. Day 4. Breakfast at Artis hotel today – good but not as good as the last place we stayed. 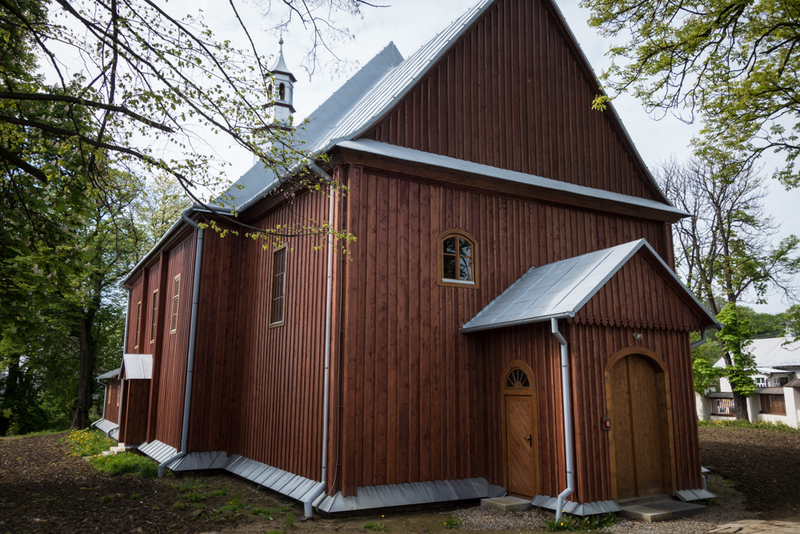 We headed over to the Szebnie parish church near Jaszczew where Zenon talked the priest into opening the old church for us to see. It’s currently in the process if being restored with about 1 year remaining. Beautifully painted interior but most of it dates from the 1900s after our grandfather left. We saw the baptismal font in the new church – dates to about 1815. 3 Men and a Mum. Finding our Polish Family. Day 3. 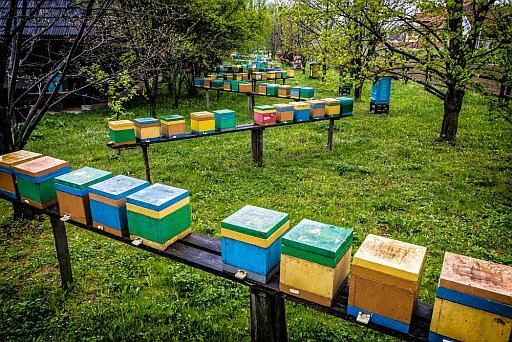 Big breakfast at the Beekeeping museum this morning – so good and fresh. We wanted to buy a few souvenirs at the gift shop but they were closed until 11am – Zenon asked if they could open early so the owner came by to do it. Bought candles and a bottle of mead to give to Stanisław Twaróg upon our visit later today. 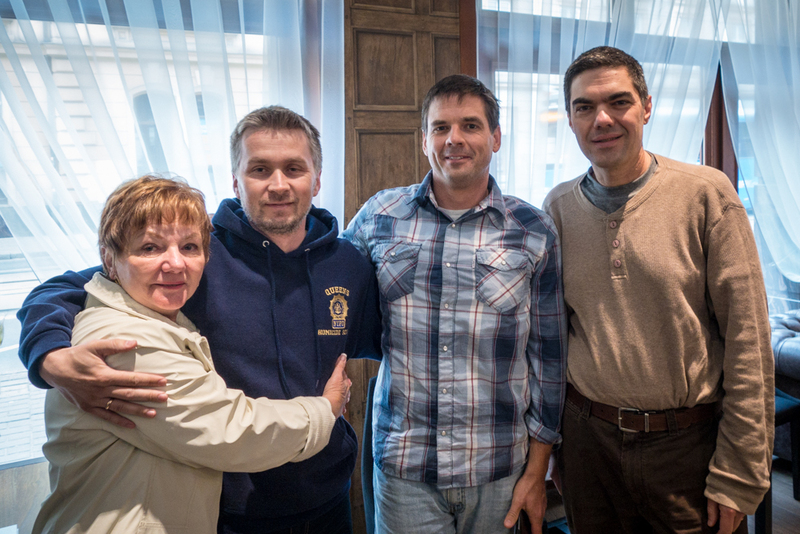 3 Men and a Mom: Finding our Polish Family. Day 2. Another great breakfast this morning prepared just for us since we appear to be the only overnight guests here. Scrambled eggs from chickens living on the property, honey from here, meats, breads, etc. 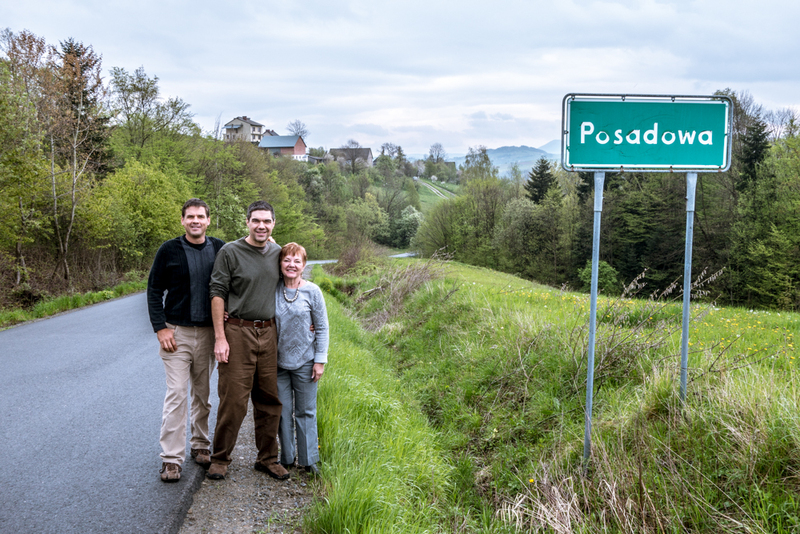 We drove into Posadowa to search for the house of Jan Filip, Mom’s 2nd cousin. All we know is that he is 73 years old and lives in ‘house #35’. Zenon drove & drove, but no house 35 was to be found. Stopped to ask 2 different people where he lives and while they were helpful they still weren’t sure. 3 Men and a Mom: Finding our Polish Family. Day 1. We enjoyed a delicious European/continental breakfast at the hotel – meats, cheeses, eggs, etc. Met our guide Zenon in the lobby right on time at 10am – it was so nice to finally see each other face to face. Our luggage barely fit into his SUV – good thing we had packed “light’. We drove just under 2 hours to Posadowa, where Mom’s grandmother Anna was from. Very small village – it was just a few houses along the narrow road, with lots of open space. We drove to the neighboring town of Mogilno which is where the parish church is located. The old church is mostly unused now and was locked: Zenon found the priest and explained why we were there and asked if he could show us around.